The Bog Turtle (Glyptemys muhlenbergii) is the smallest turtle in North America, and one of the rarest. Habitat specialists, Bog Turtles live and reproduce in specific types of rare wetlands. These wetlands are in urgent need of conservation and restoration. 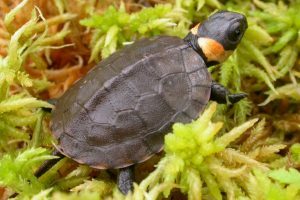 Project Bog Turtle (PBT) is an independent, private-sector, volunteer conservation initiative dedicated to the preservation of the southern population of Bog Turtles and their habitats. PBT was launched in 1995 as a subsidiary of the North Carolina Herpetological Society and is funded by private donations and fundraisers. All donations are tax-deductible. 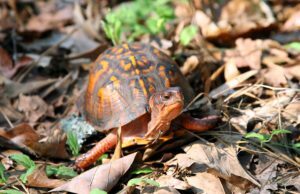 The Box Turtle Connection is a long-term study on Box Turtles (Terrapene carolina) in North Carolina. Our purpose is to learn more about the status and trends in Box Turtle populations, identify threats, and develop strategies for long term conservation of the species. 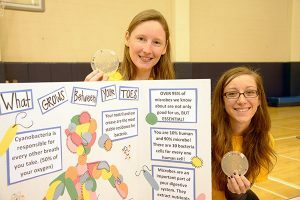 The GK–12 program at UNCG has been funded by the National Science Foundation to partner graduate student Fellows from three departmental graduate programs (Biology, Chemistry and Biochemistry, and Geography) with teachers and students at three Guilford County Schools: Montlieu (elementary), Welborn Academy of Science and Technology (middle) and Andrews High School. All three schools are located in High Point, NC, and their campuses are in close proximity. 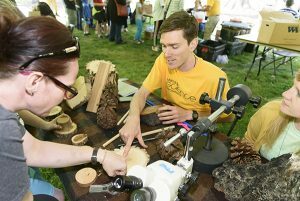 Fellows, teachers and students will form discovery teams to scientifically investigate the biological, chemical, physical, health-related, and socioeconomic effects of changing land use patterns in the region. Herpetology Education in Rural Places and Spaces (The HERP Project) consists of four threads (Celebrations, Cyberhub, Herpetology Research Experiences, and Studies) to support educational, conservation and field ecology experiences related to herpetology, which is the study of reptiles (turtles, snakes, lizards, alligators) and amphibians (frogs and salamanders). 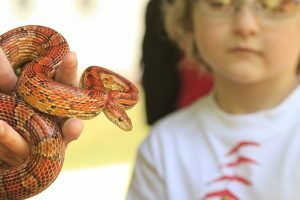 This website, The Herp Project Cyberhub, is designed for people of all ages who are interested in herpetology, particularly the herpetology of North Carolina. 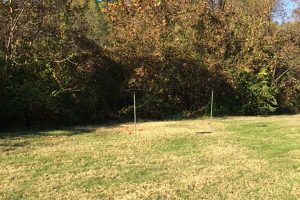 Since 1997, the Biology Department has helped the UNCG Peabody Park Preservation Committee (PPPC) restore Peabody Park Woods. These woods provide a rare window into what Piedmont, NC looked like 200 yrs. ago. 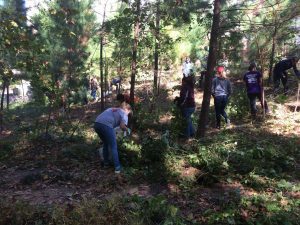 During Fall and Spring “Ivy Pulls”, many faculty, staff, and students work with PPPC members to remove invasive species. Sufficient progress has now been made to allow us to begin reintroducing native woody species into the Woods, thereby augmenting the biodiversity.